Turkish jets have struck the US-backed Syrian Kurdish militia north of the embattled city of Aleppo, killing as many as 200 fighters, according to Turkey's state-run news agency. 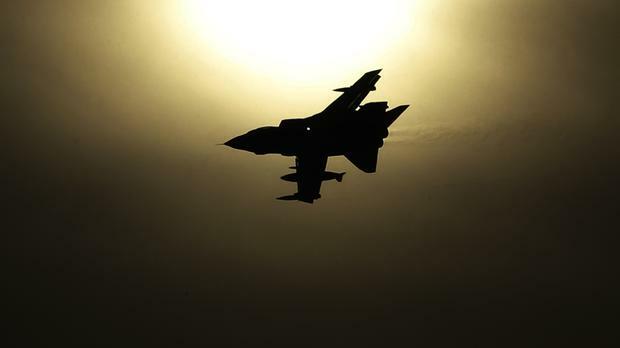 The Anadolu Agency, quoting military officials, said the raids were carried out late on Wednesday, attacking 18 targets in the Maarraat Umm Hawsh region in northern Syria, and killing between 160 and 200 fighters. Syrian Kurdish leaders disputed the figures, claiming no more than 10 fighters had been killed so far. The targets were in areas that Syrian forces had recently taken over as they pressed ahead with the campaign to drive Islamic State militants from areas north of Aleppo. The Syrian Kurdish force has been a source of tension between Nato allies Turkey and the US. The US considers the militia group, known as the People's Protection Units or YPG, to be the most effective force in the fight against IS in Syria. Turkey says the group is an extension of its own outlawed Kurdish militants who have carried out a series of deadly attacks in Turkey over the past year, and considers it to be a terrorist organisation. Ankara has become increasingly wary as the YPG secured large areas of territory along the Syrian-Turkish border. In August, Turkey sent troops and tanks into northern Syria to help opposition forces drive IS away from an area bordering Turkey and to curb the Syrian Kurdish forces' territorial expansion. The Turkish attack came after president Recep Tayyip Erdogan said his country would not "wait for terrorists to come and attack" but would go after them before they have the chance to strike. Anadolu said the 18 Syrian Kurdish targets included nine buildings used as headquarters, meetings points, shelters or arms depots as well as five vehicles.